Dariel Quiogue – the creator of Hari Ragat Games. It wasn’t my first time to a table-top game but it was that day that I learned about Hari Ragat. I met him through my boyfriend (who is now my husband) when they heard Dariel was in town. At first, I didn’t know that they were going to start a session and then they asked me to join in. I was rather shy at first since that is the first time I met Dariel but I ended up making a character anyway who I named it after myself. Time passes and I realized this game is so much fun. I need not have to worry about ‘statistics’ of my character along with the fact that most of the non-playable characters (NPC) based on Philippine Mythological Creatures and some historical characters as well. I’m so fascinated about the game, I wanted to draw the mythical creatures. 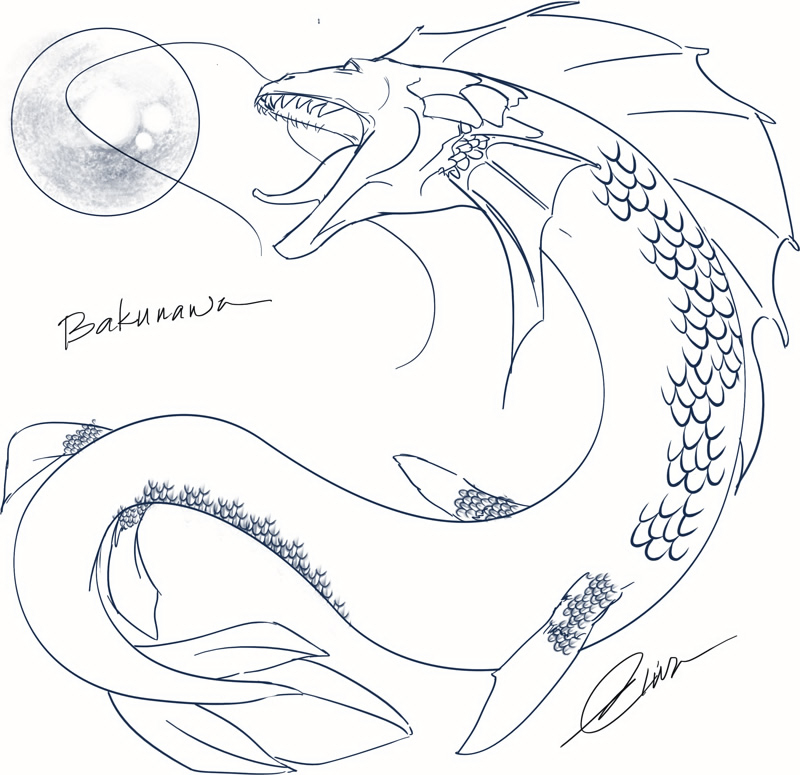 So, I drew the baby Bakunawa from our session. My first illustration didn’t make it feel like you need to worry or be scared about it until I made another art of it. A few months later, Dariel asked for a commission and gave me freedom of creativity on what to draw after giving me a PDF of what Hari Ragat Game basically is. Oryol is one of the Bicolano Gods in Philippine Mythology. Bicolano believed Oryol is a serpent goddess; Aswang’s daughter; shape-shifter with an enchanting voice, controls an invisible giant. Note: I had to draw her again since the file somehow got corrupted and I couldn’t continue the old one. First studies of a sea god. I wasn’t really happy about it…so, I did some changes.